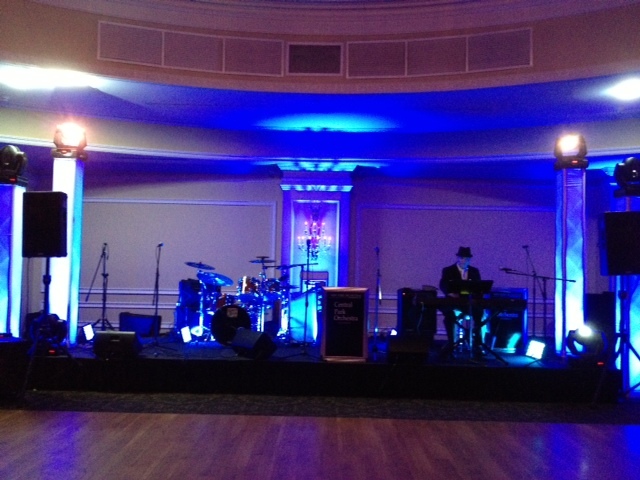 Lighting can set the ‘stage’ for a party! 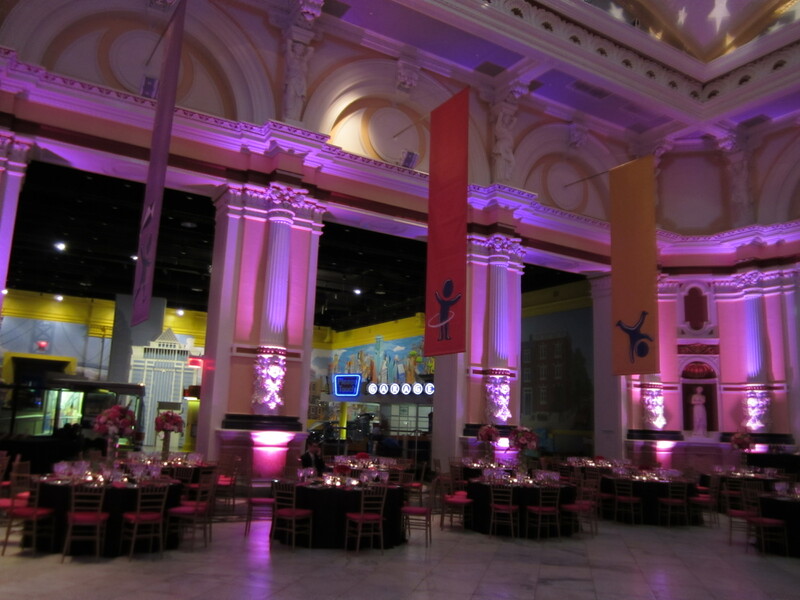 We can light interiors and exteriors, stage, dance floor and perimeter ballrooms. Let our lighting experts custom design a package for your special day. 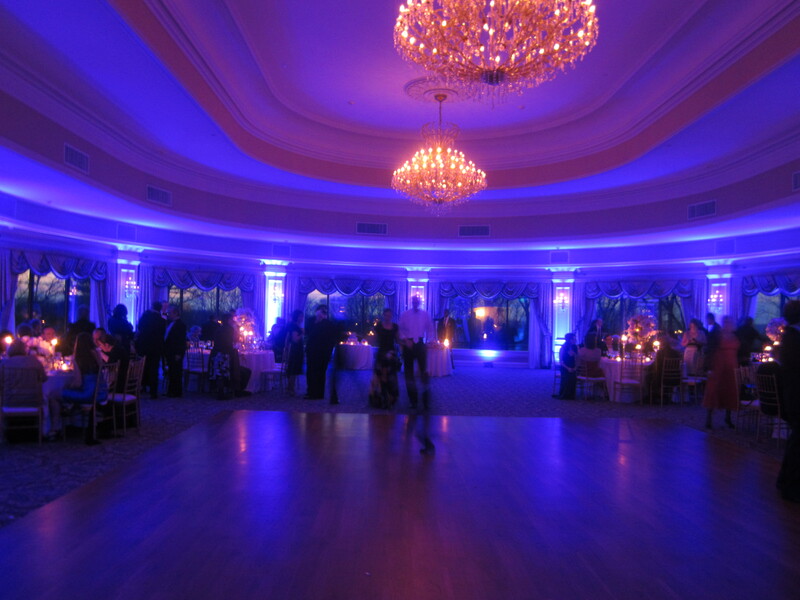 Use the awesome color changing technology of LED Lighting to enhance any area of your venue including ballroom perimeter walls (pictured above & below). 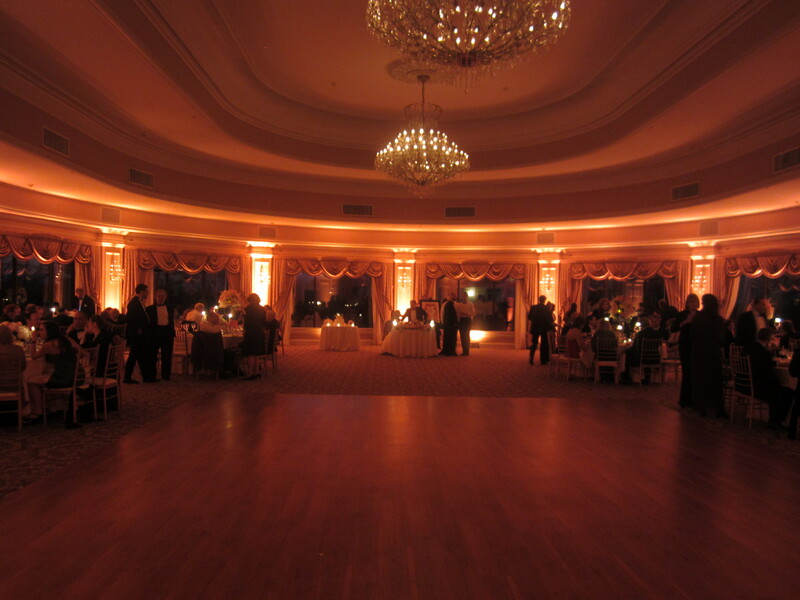 Ambient illumination of the perimeter of the ballroom using LED lighting. 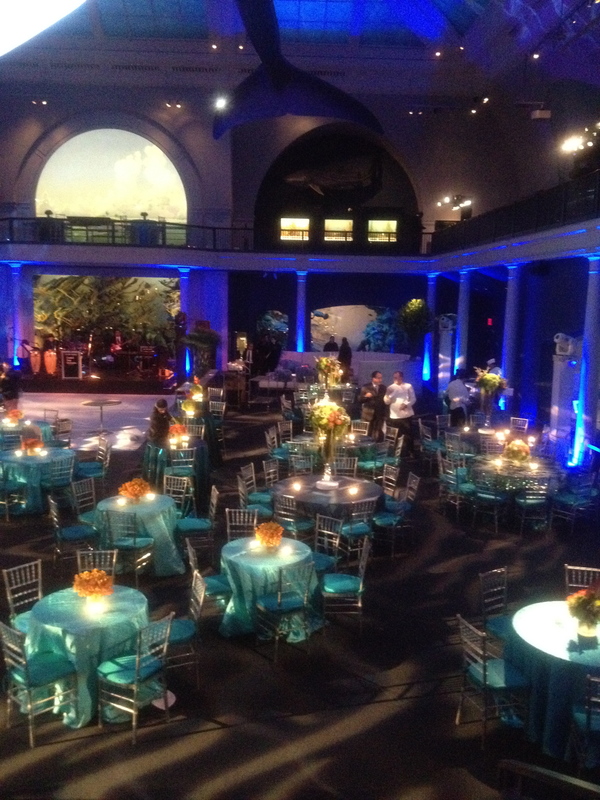 Turn your ballroom into any ambient color you want. Choose from the endless color palette. Lighting technician and custom programming included. Intelligent Moving-Heads on vertical skirted trusses (as pictured below) create mood lighting on the dance floor and stage area. The mood can go from ballroom to night club. 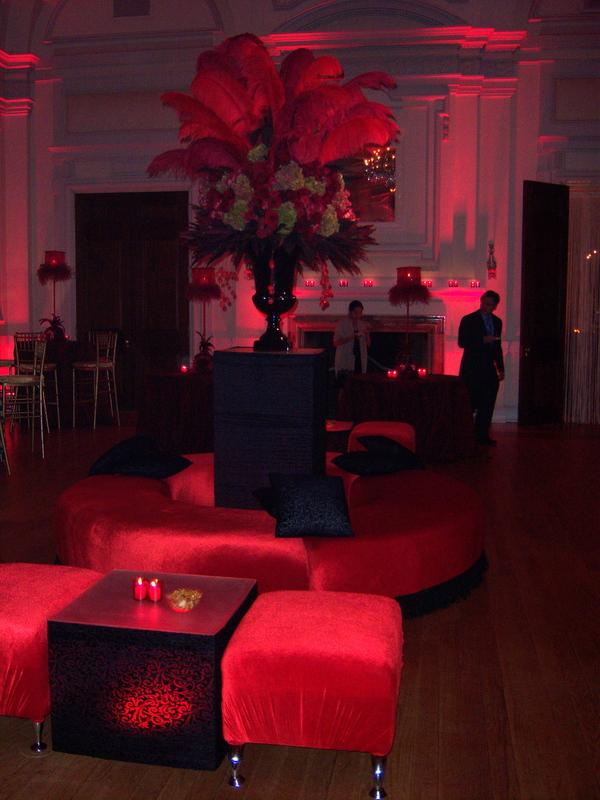 *All packages include delivery, set-up, breakdown of all equipment, a master lighting technician to run event. Wireless technology available. 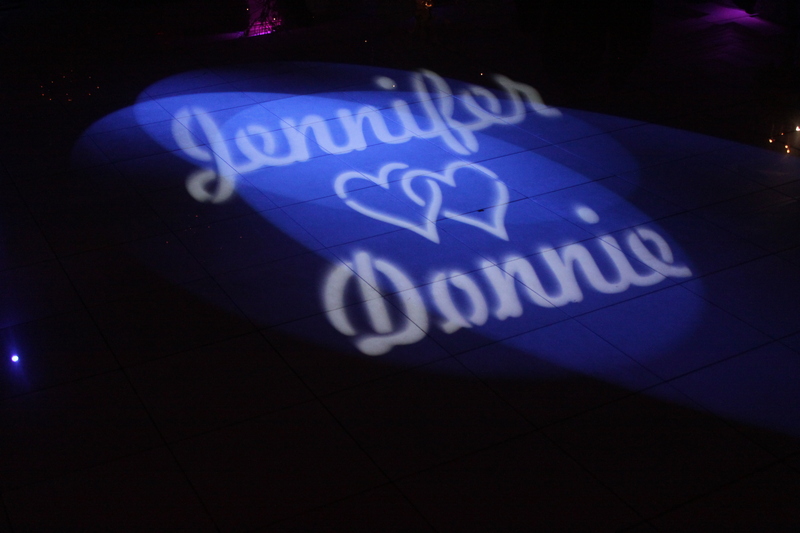 GOBOs can add a nice touch with initials or names.